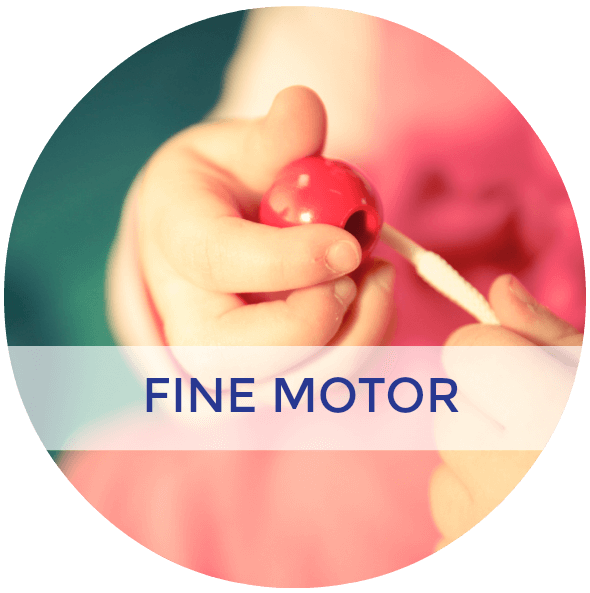 Today we are going to be looking at typical fine motor activities for preschoolers, or ages 4-6. 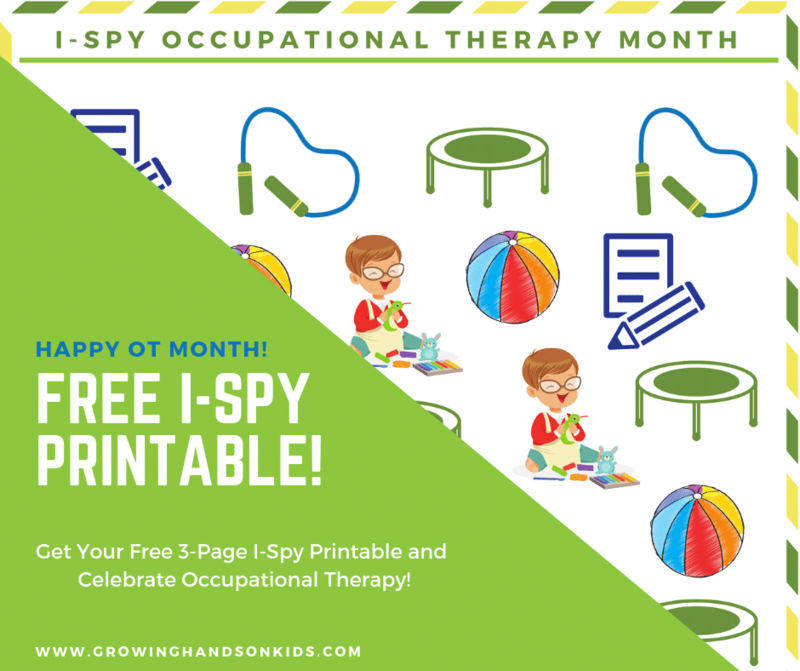 This was my favorite age group to work with when I was working in the school system as an Occupational Therapy Assistant. 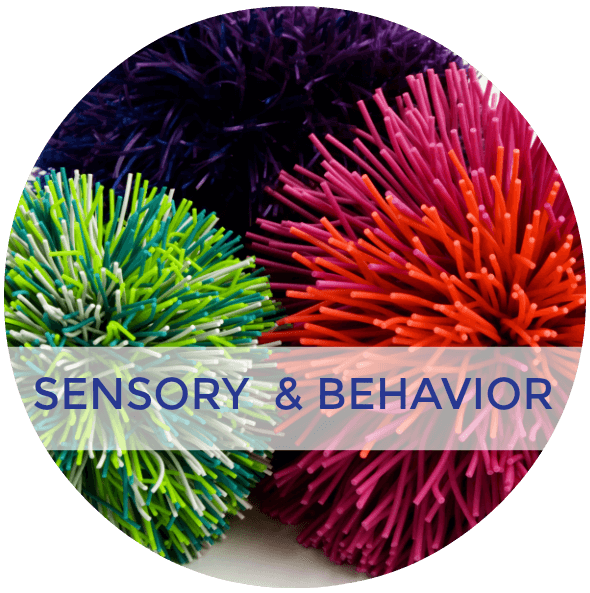 Remember that these skills are an ongoing learning process through age 4. 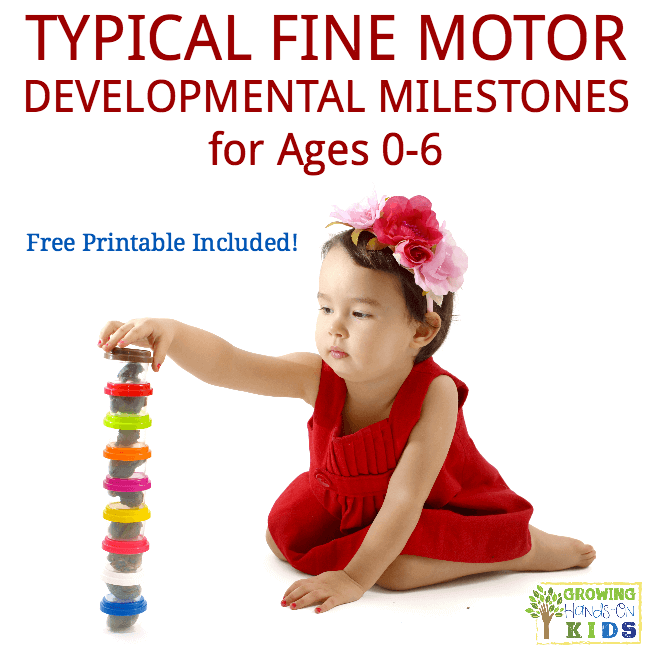 By the time your child reaches age 5, these skills should be learned and mostly mastered. Each child is different. 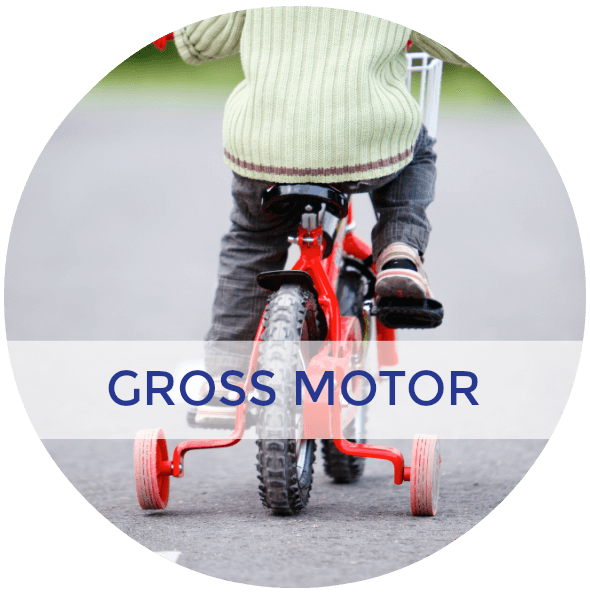 If you have concerns please seek advice from your pediatrician. A great way to practice buttons, zippers or snaps is to have them dress their dolls or stuffed animals. You can make it very inexpensive by making the clothing yourself and adding the buttons or buying some clothes if you want. Remember to start with large size buttons and have them practice at a table. Once they master large buttons, move to medium and then small size. Once they have mastered the animals and dolls, move them to a vest or their own clothing. 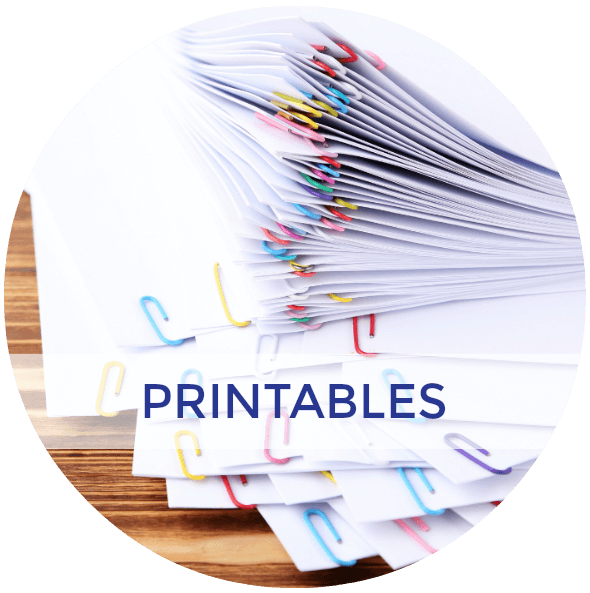 Cutting and folding paper can be incorporated into a craft project quite easily. 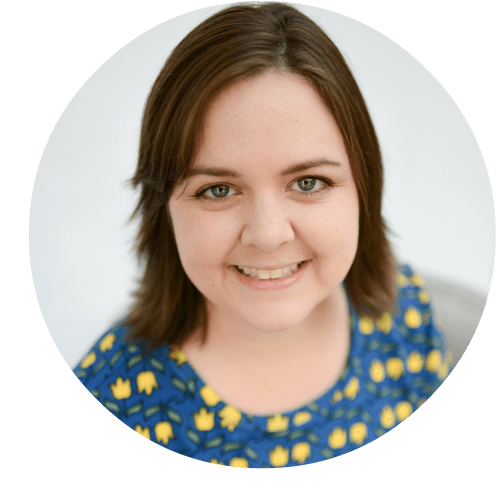 Letting your preschooler use and get used to scissors is the biggest thing you can do. 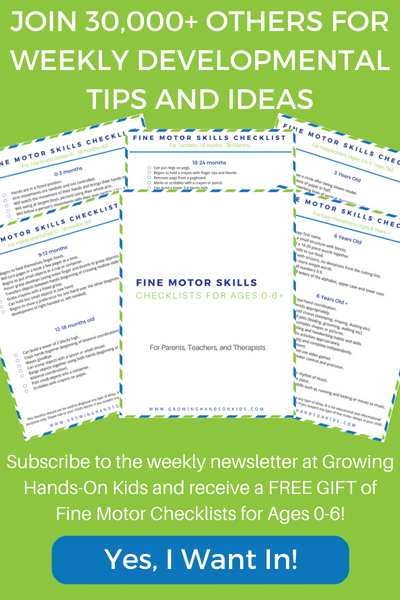 While cutting make sure that your child is holding the scissors in a thumbs up position as well as holding the paper with the other hand with their thumb facing up. 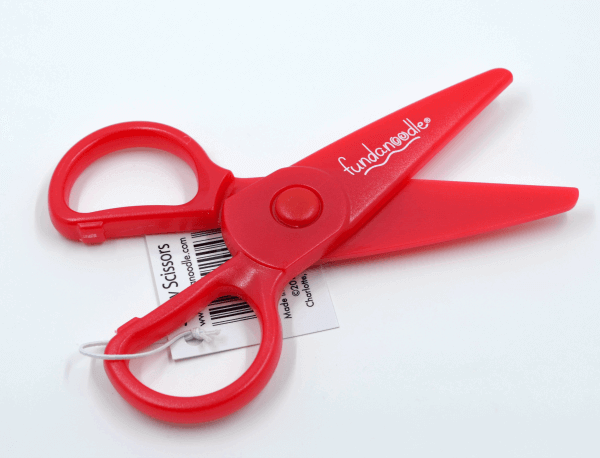 Some of my favorite scissors are these safety scissors from Fundanoodle. They can only cut paper and are made for left and right handed kids. When they are practicing lines and shapes, make sure they do not use the large jumbo size crayons. The large crayons force their fingers farther apart than they should be in order to promote good grasp. Using regular size crayons and breaking them in half forces them to have fewer fingers on the crayon and use the correct tripod grasp. 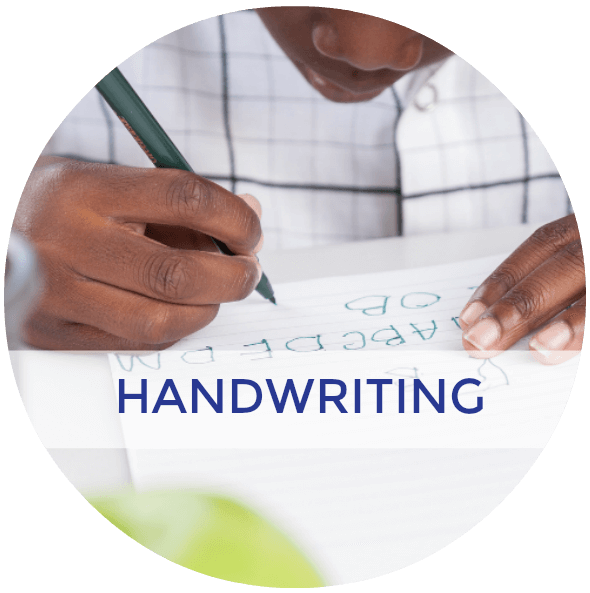 Remember that at age 4 they are still developing a good grasp pattern as well as decided which hand they are going to use (right or left). 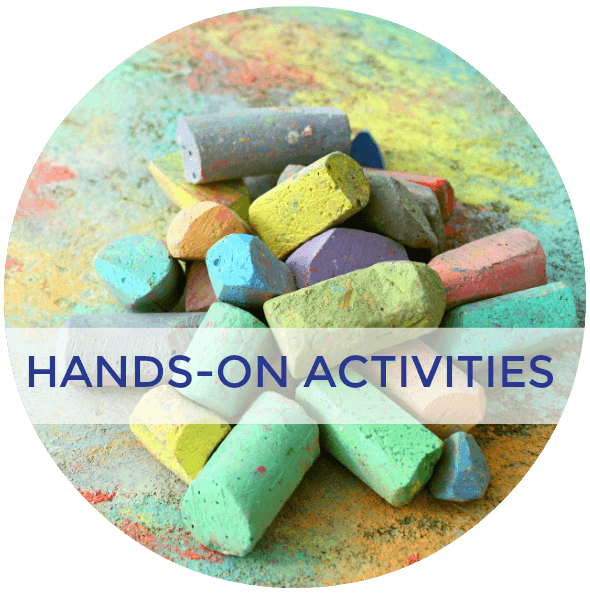 Encourage them to use the same hand that they seem to prefer throughout the entire activity. A lot of my kids like to switch when their hand starts to get tired. To ensure their hands get strong, practice practice practice. I went ahead and put age 6 in here because there is only one real area that they improve in fine motor skills which are completing complex puzzles. Kids love puzzles, and you can get kid size puzzles at Walmart or Target in the children's section near board games. 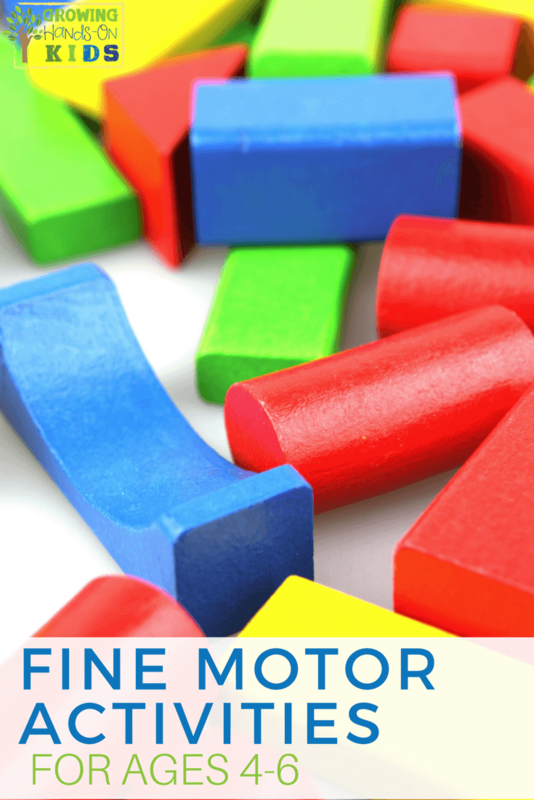 Block designs are also a great fine motor and visual motor skill. Being able to do the bridge design with blocks is harder than it seems. 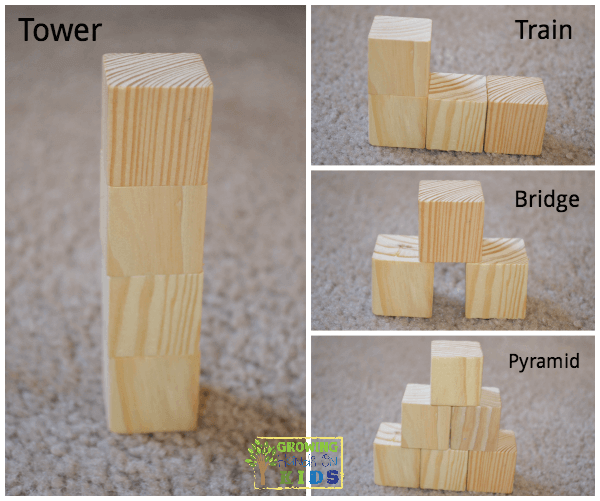 The key is that they are able to balance one block on top of two other blocks, without the one on top falling through. So a 5 block design, would be 3 on the bottom, with two balancing on top. 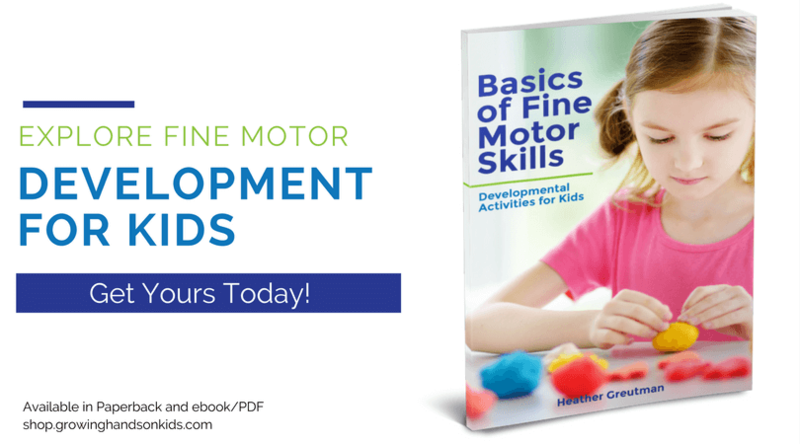 I have many more activity ideas and strategies in my book Basics of Fine Motor Skills – Developmental Activities for Kids. 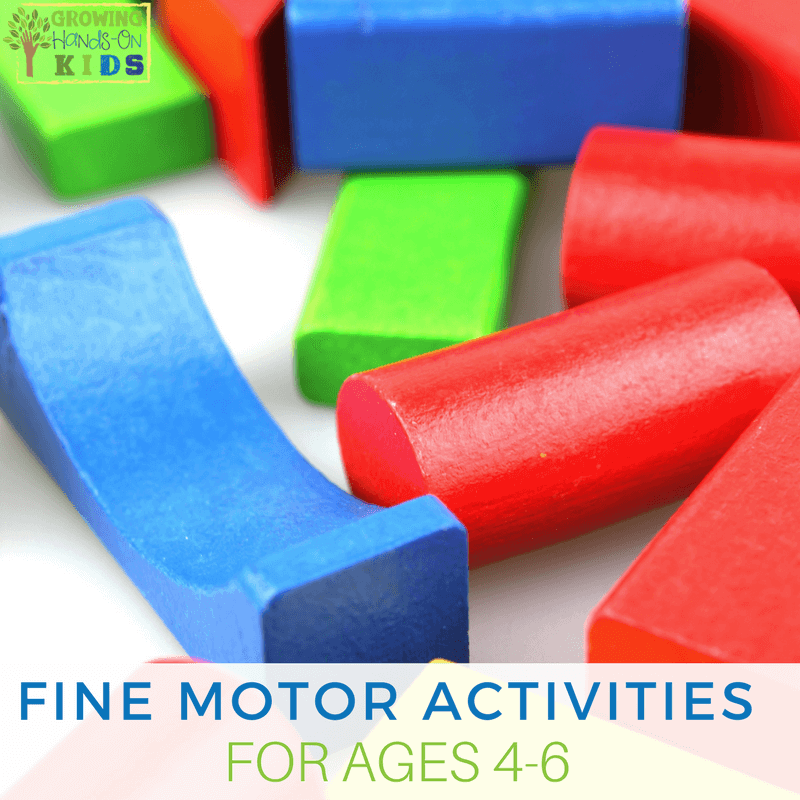 25 Fine Motor Activity Ideas for Older Kids (Ages 6+).